Dry Guy Restoration is an all purpose Restoration and Cleaning Company. We are trained and certified to offer a variety of services at an affordable price. We address the needs of homeowners and businesses for a clean, healthy and safe place after a disaster. Our professional claim services make it possible for you to focus on what matters most, to make your house, your home again! We provide emergency services 24 hours, 7 days a week to all of Southeastern Pennsylvania. We offer a wide variety of services such as Residential and Business Cleaning, Upholstery Cleaning, Pressure Washing of Concrete, Brick, Vinyl Fencing, Gutter Cleaning and more. Call us today for a Free Estimate! IICRC Certified Technicians will quickly respond in a courteous and professional manner. 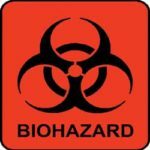 We are Certified for Bio-Hazard Clean up and disposal! outside of your home or business. We recognize our company duty to set an example for both our competitors and our customers.